Research: JCU Lecturer and CRC Reef coordinator, regularly conducts projects and field studies. Interpretation: Envirofund recipient for Rowes Bay Interpretation signage. 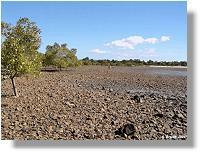 Caretaking: Conducts cleanups and species monitoring of the Rowes Bay intertidal flats. 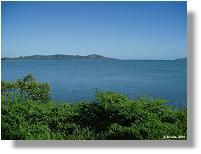 The marine coastal area along the Esplanade at the Kissing Point end of Rowes Bay (Figure 1) is very shallow, with an area of several square kilometres being exposed to the air during spring tides. 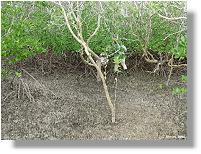 This intertidal area includes several different marine habitats such as a mangrove forest (Figure 2), a rocky shoreline (Figures 3a & b), a small muddy estuarine creek (Figure 4), coarser sandy flats (Figure 5) and several rubbly reefal areas, one of which includes a tropical sponge garden on the seaward edge (Figure 6). Collectively these habitats are home to thousands of different types of marine invertebrates (animals without a backbone) and each individual habitat contains its own specialised suite of fauna and flora that is well adapted to the environmental conditions found there. Some of the invertebrates living on the intertidal area at Rowes Bay are large and easy to see, whereas many others are smaller and very good at hiding. Some are motile and able to move from one habitat to another, while others are sessile and unable to move to a more favourable area should conditions change or predators threaten. Some species are present in large numbers while others are more solitary – perhaps even with their presence changing seasonally. Although a few local scientists are aware of the high level of invertebrate diversity in this area, the fauna has never been systematically and collectively documented and we therefore do not know exactly how many marine invertebrate species are to be found in this intertidal area. This website, which is part of the Townsville City Council Natural Assets Database, aims to begin the huge task of documenting the wide variety of invertebrate animals found in the intertidal area at the Kissing Point end of Rowes Bay. If you would like to contribute to this website in any way please contact the Environmental Services section of the Townsville City Council (add website link) or Dr Gilianne Brodie, at the Department of Marine Biology, James Cook University (47814280). 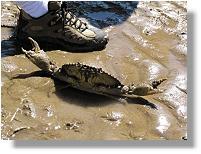 Figure 7: Some crabs are very large and easy to see while others are smaller and often very cryptic. The size and structure of a crab’s front claws provides a good indication of their feeding habits. Tiny pinchers can indicate a plant feeding herbivore while the large claws, as seen on this mud crab (Scylla serrata); indicate a more aggressive predatory lifestyle. 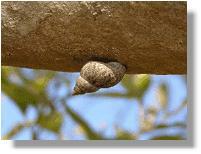 Figure 8: Many different types of animals live in the mangroves at Rowes Bay - some hide by burying in the sediments while others, such as the arboreal snail (Littorina) shown here, live in mangrove tree branches. The shells of these tree-dwelling snails are very light in comparison to ground dwelling (benthic) snails making it easier for them to carry their protective shell “home” around with them when climbing. 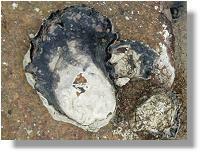 Figure 9: Several different oysters can be found attached to the rocks at Rowes Bay. Such oysters are bivalve molluscs (with two-shells) that are able to cement one of their protective valves to hard substrates. This means that oysters like the Saccostrea echinata shown here are sessile and therefore unable to move around as adults. Figure 10: Animals that feed on algae, such as the herbivorous snail (Nodilittorina) seen clustered together here, are a cryptic but very important part of the rocky shore habitat. Although tiny (<10 mm) they are present in very large numbers and the rocky surfaces high on the intertidal area would look very different (covered in green algae) if these animals were not present. 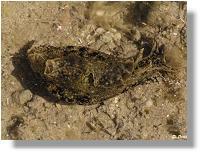 Figure 11a & b: Seahares like the Aplysia dactylomela seen here are relatively large shell-less molluscs that are seasonally common in tropical coastal areas. This species is well known for is spectacular behaviour of releasing bright purple ink that functions as a deterrent or a distraction to predators such as fish, crabs or humans. Seahares play an important role in many coastal habitats because of their habit of periodically occurring in large numbers and their ability to consume large amounts of macroalgae, including the toxic cyanobacterium Lyngbya. 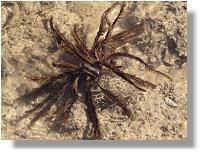 Figure 12: The feather star shown here is a very primitive member of the phylum Echinodermata and not often seen in intertidal coastal environments. It is related to the starfish and sea urchins, which are more commonly seen by reef visitors. This feather star is nocturnal (active at night) and normally lives in deeper water offshore. 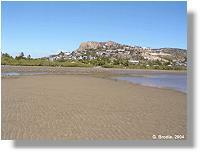 However, it is sometimes washed into intertidal areas like Rowes Bay by storms and bad weather. 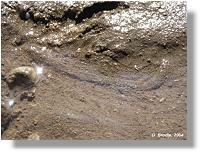 Figure 13: The fine mud around the creek bed provides a suitable home for several different worm species. Although often unattractive, worms play a vital role in aerating and mixing the fine sticky sediment allowing a broader range of organisms to exploit the habitat’s resources. Most of these worms are cryptic and live buried in the fine sediment with only their soft feeding structures visible above the substrate. One of these worm species is the echurian and with careful observation its long translucent proboscis (feeding organ) can be seen here laying over the surface of the sediment. 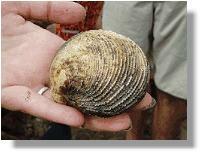 Figure 14: Many different bivalve molluscs can be found within the Rowes Bay intertidal area. One of the largest ones (Periglyta chemnitzi) is difficult to find alive because of its excellent burrowing ability, however the hard shells left behind after it dies clearly indicate its presence in the soft sandy and muddy habitats. 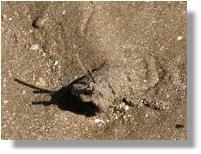 Figure 15: Diapatra is a relatively large polychaete worm that makes its own flexible silky tube within the sandy flat environment of Rowes Bay. However, only the very distinctive tip of this tube can be seen above the surface of the substrate. Like many burrowing animals Diapatra is very fussy about the type of sediment it lives in. 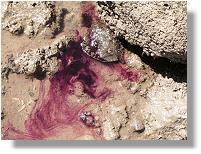 If the sediment composition changes too much the next generation of animals will not survive in the same place. 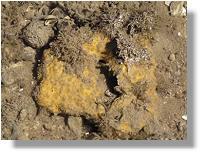 Figure 16: Many different species of sponges can be found in the intertidal area at Rowes Bay. Although often colourful, like the yellow sponge seen here, these colonial animals can be difficult to identify. Sponges feed by filtering large volumes of seawater and extracting the digestible material from it. 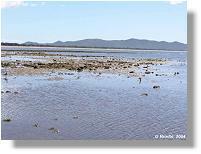 The species found at Rowes Bay cope surprisingly well with the turbid muddy conditions that surround them. 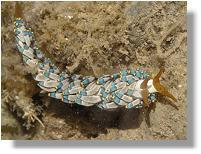 Figure 17: There are thousands of different types of shell-less marine seaslugs (nudibranchs) found worldwide. 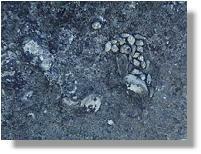 The species shown here was found among the rocky rubble of the outer reefal area at Rowes Bay. Its scientific name is Cuthona yamasui and it was first described from Japan in 1993. This specimen is about 45 mm long and feeds on bryozoans (small colonial animals) also found in the same habitat. Bryozoans, and the animals that prey on them, are very important marine organisms because they are part of “fouling” communities that initially cover human-made marine structures such as jetties and boat hulls. Control of such fouling organisms is a very “hot” topic in marine biology because it strongly relates to the economic efficiency of our boats, ships and harbours.